On November 19th, the BBC reported that a third of world’s population is either over weight or obese. I’m not entirely sure when the BBC obtained the information, but clearly obesity is a world wide problem. The BBC report stated that cost of obesity to global health care systems is greater than terrorism and global warming combined. This assertion also seems incredible, but there would be significant social and financial costs to a large part of the population being over weight or obese. There was mention in the report of “smaller portions” in relation to addressing obesity but then the report mentioned the possibility of taxing food and drink products with high calorie content, thus having the food industry subsidize health care costs. I’m in favor of individual responsibility: enjoy your meals but eat healthy, enjoy small portions, avoid snacking between meals, drink moderately, and exercise regularly. These assertions, so simple and so effective, have become generic knowledge, but people have almost turned their backs on the obvious in irritation. 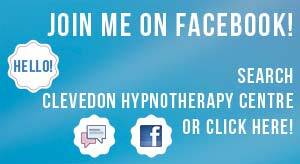 Hypnotherapy can help a person change their way of thinking and behaving so that obesity becomes weight management. Weight management isn’t merely a diet, it’s a way of life.